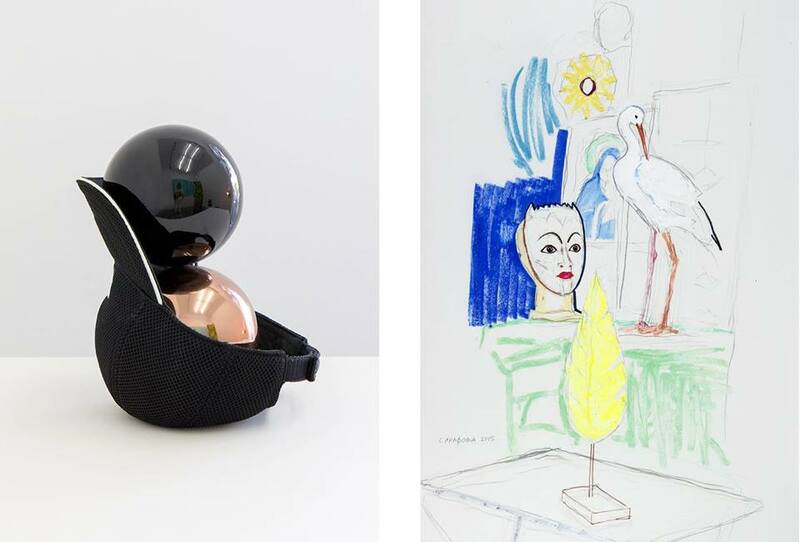 In the spring of 2019, works of Sariev Contemporary's artist Rada Boukova and Sirma Sarafova-Orahovac will be presented in the exhibition "Players and Pleasures" at KVOST, Berlin. The exhibition title Players and Pleasures relates to the presence of commonplace mass-produced objects in the works of both women: vacation souvenirs, promotional items, brand logos, children’s toys. Liberated from the usual context of use and perception, and arranged into absurd tableaus they transform into placeholders of hidden hierarchies or projection surfaces for the viewer’s subjective state. Rada Boukova was born in 1973 in Sofia is one of the best known contemporary Bulgarian artists today. At the 58th Biennale in Venice 2019 she will represent her country together with Lazar Lyutakov. Sirma Sarafova-Orahovac was born in 1937 in Sofia. Even though she graduated with distinction from the National Art Academy in 1963, her artistic autonomy proved to be incompatible with the nationalised art establishment of socialist Bulgaria. As a result, she remained relatively unknown, until her work was rediscovered in 2006 by a new generation of Bulgarian artists and gallerists.